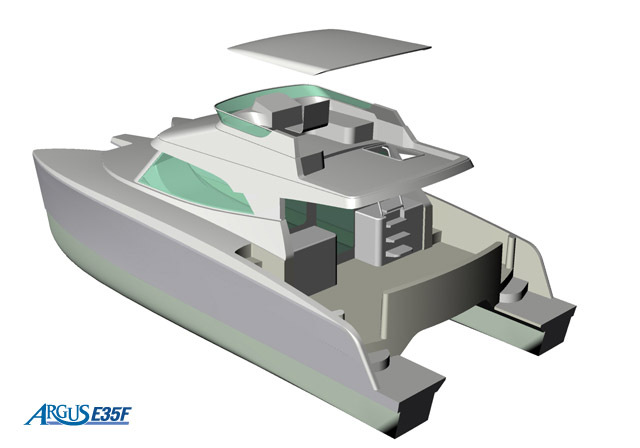 Designated the E35F, the flybridge adds the option of helming the vessel from a higher vantage point. 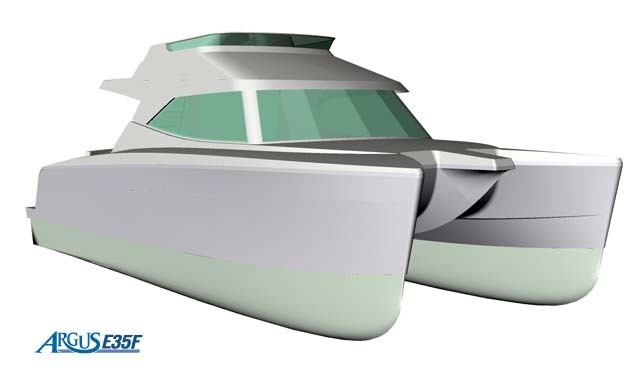 It's an open design with the helm forward, side seating/lounge for passengers and an aft deck area for lounging. Shade is provided by an optional hardtop bimini. Access to the flybridge is by a set of stairs from the aft deck. The overhead clearance is increased from 2.9 metres on the E35 sedan model to 4.7 metres on the E35F. 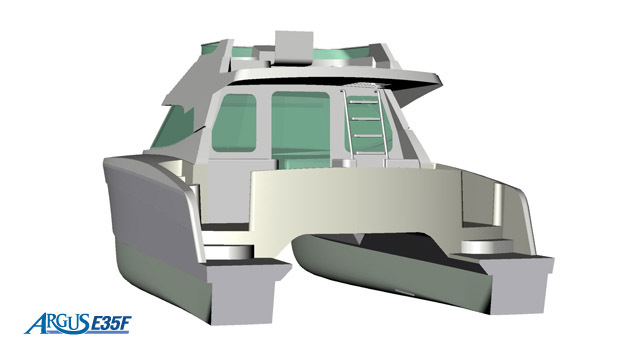 The lower part of the vessel design is not effected other than the deletion of overhead hatches above the lower helm. Right click the drawings for zoom and printing options.